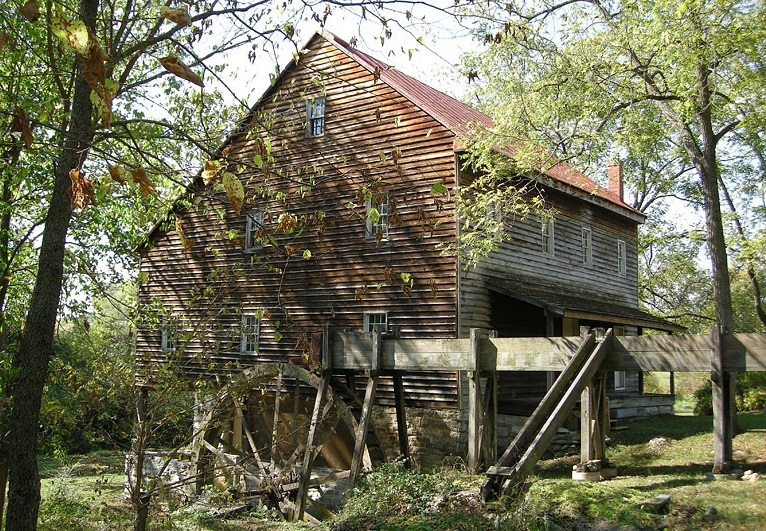 Modern technology has helped connect places of the present to mills of the past. Google apps, maps and fusion tables enabled 3,974 Mid-Atlantic mills (in DC, DE, MD, PA, and VA) to be compiled into one electronic resource, both on a modern map and in a searchable table. Information for this comprehensive map was gathered from many sources, including mid-to-late 19th century atlases, directories, and county histories, as well as from archives of personal, state, and SPOOM collections. This map is a great place to begin research about a mill or mill site in the Mid-Atlantic region. Unfortunately, there is no abbreviated URL for this map. But if you save this link to your favorites, you should have no trouble finding it again. 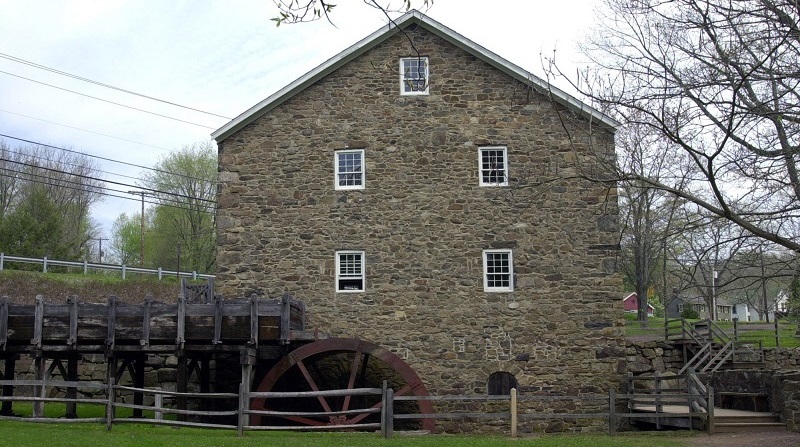 Click on map below to view the Mid-Atlantic Mills Map on Google. Navigation buttons are located along the left edge of the map. The circle with arrows pans the map right, left or up, down. Or you can click and hold the left mouse button on the map and move the map with the mouse. The orange figurine allows you to see a street level view on the map. Click on it and drag it to a location on the map. The roads that have views will be highlighted in blue. To exit the picture, click on the x in the upper right corner of the picture. The slider bar allows you to zoom in and out. To zoom in, click on the + sign at the top. To zoom out, click on the – sign at the bottom. Or use the slider, up to zoom in and down to zoom out. Click and hold the left mouse button on the slider icon and move the slider up or down. To filter, click on the Blue box above the upper left corner of the map and click on a category to sort by. Check (by clicking) on a value in the box that appears on the left. To cancel the filter, uncheck the box by clicking on it. You can sort on multiple values and categories. To close the filter window click on the left arrow in the upper right corner of the filter window. To get a list, click on the tab “List of mill locations”. This will show a table of all the data. This can be filtered also. The red dots are sites, green dots are existing and yellow dots are open to public. To get the information on a mill, move the cursor over the dot for the mill you are interested in, the hand will change to a hand with index finger extended, click the left mouse button and a window with the information will appear.